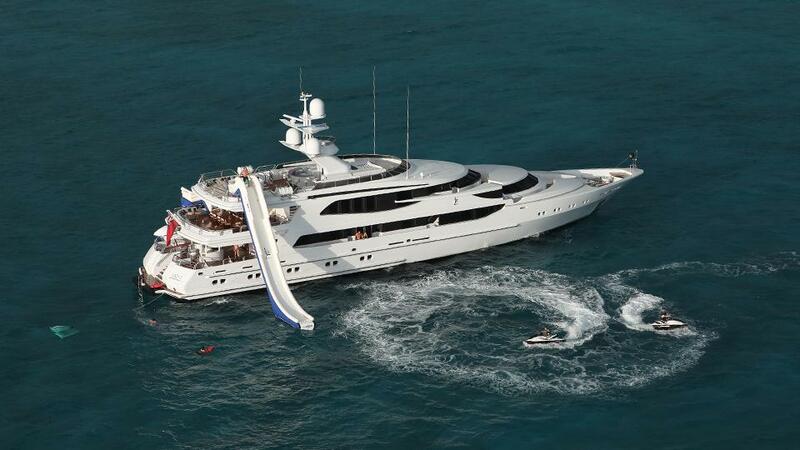 Take your charter yacht to new heights with an inflatable water trampoline. These buoyant inflatable yacht toys will have adults and children alike jumping, diving and cannonballing into the ocean with intense energy. 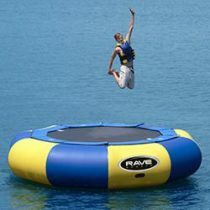 Different from a water bouncer, inflatable water trampolines are built with springs to augment the jump and propel the user upward. 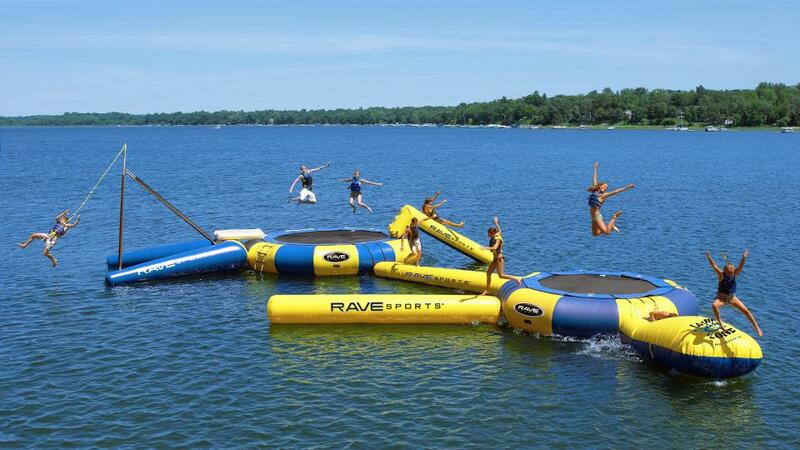 A water bouncer is great fun, but has a different effect on the momentum of the jumper, and may not offer as high of a jump. Fun and effective, these are more than just yacht water toys. 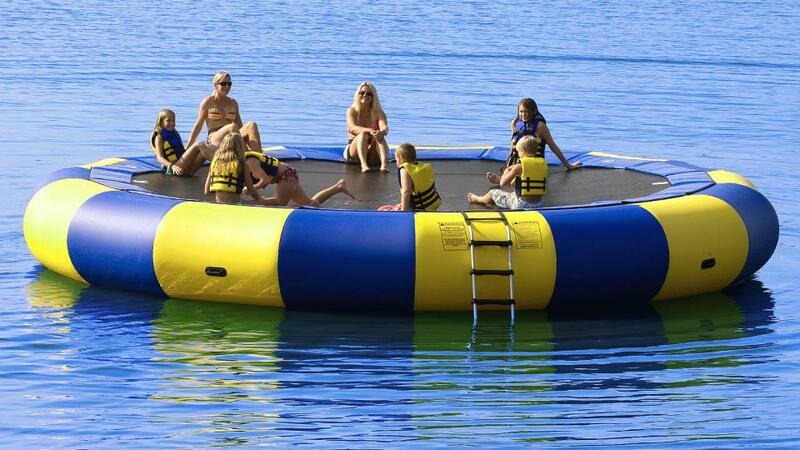 An inflatable water trampoline can serve as an alternative workout tool to the fitness area aboard a charter yacht. Being at one with the ocean while invigorating your body will be an unforgettable experience, and one that guests will want to repeat. 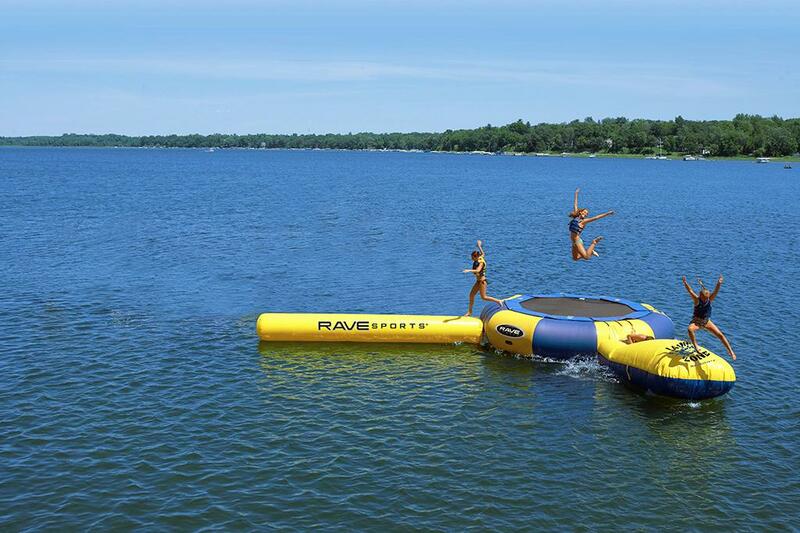 Ideal for a family charter, the inflatable water trampoline is loved by kids as much as adults, and can keep them busy for hours. 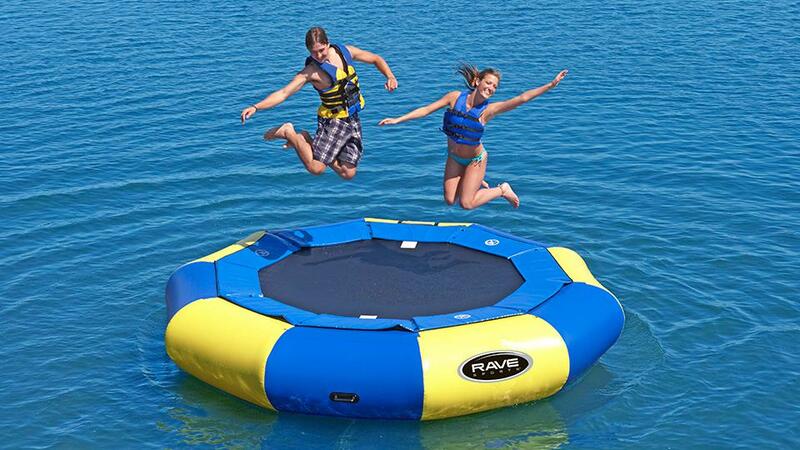 Pair the trampoline with other inflatable yacht toys such as a yacht water slide, and double the hydro-fun. The charter party lucky enough to experience all these water toys will be talking about your yacht for seasons to come. If you want to offer charter guests some serious fun, then look into the Triton Submarine, and help them discover what life is like under the ocean. Some of these submersibles can fit up to 5 people inside, as a shared experience can sometimes be more fulfilling. Custom yacht tenders can act as the ultimate water toy to pull towables, water skis or even wakeboards. The thrill of practically flying on the surface of the water creates an unparalleled experience for many. The professionals at Merle Wood & Associates are the industry experts at marketing your yacht, and helping clients find their ideal yacht for charter. From either perspective, they offer the simplest solutions to charter marketing and chartering. Contact a yacht specialist to charter your yacht, or if you are looking for that ultimate charter vacation.